Many thanks to all the wonderful bloggers who entered January's Dish of the Month. This is the first blog challenge I have run, other than occasional hosting for others. 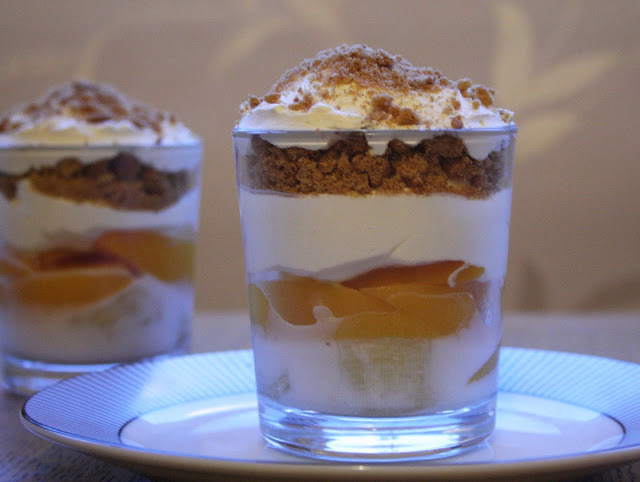 My co-host Sue from A little bit of Heaven on a Plate has been very active tweeting and pinning to our shared Dish of the Month Pinterest board. 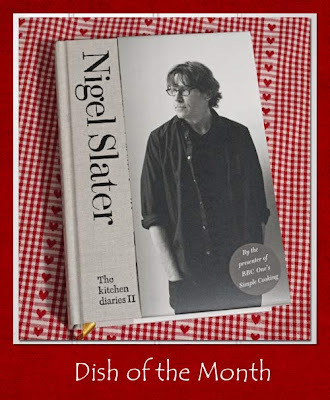 I'm not promising that there will be a round up every month but as this is the first month of the challenge, I wanted to say thank you and feature the amazing variety of Nigel Slater recipes you have all made. One of the things I like best is that many people have made the dishes their own by adapting them to the ingredients they had or their own personal tastes. This is a feature of Nigel's cooking philosophy, which I think makes his recipes so appealing to me and it seems to you too. 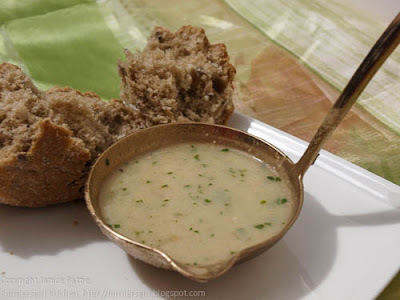 A soup of bacon and celeriac is my recipe which comes from The Kitchen Diaries II is my offering from Farmersgirl Kitchen. This Mincemeat Cheesecake attracted the attention of Mr Nigel Slater himself when Claire at Foodie Quine tweeted about it. In Elizabeth's Kitchen, a beautiful dish of Shetland lamb was slowly cooked, to Nigel's instructions, until it fell off the bone. 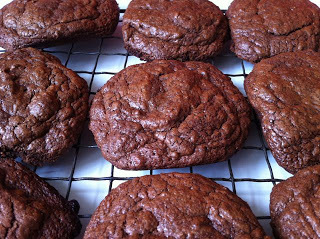 Choclette at Chocolate Log Blog made Nigel's Chocolate and Hazelnut cookies which she describes as "chocolate brownies in biscuit form". 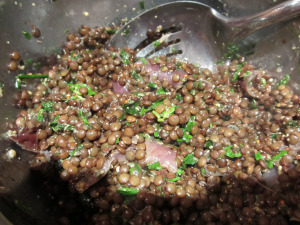 Karen at Lavender and Lovage made a Winter Salad and said "My salad is a VERY loose adaptation of Nigel Slater’s recipe from “The Kitchen Diaries”, the first one." Rachel at Marmaduke Scarlet made these delicious looking Almond, Marzipan and Berry Cakes from The Kitchen Diaries II. 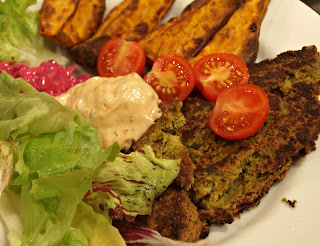 Chickpea Fritters with Beetroot Tzatsiki is the entry from Jane at Onions and Paper, it's a recipe in Nigel Slater's Tender volume 1 and was found by Jane in her search for a different recipe altogether! 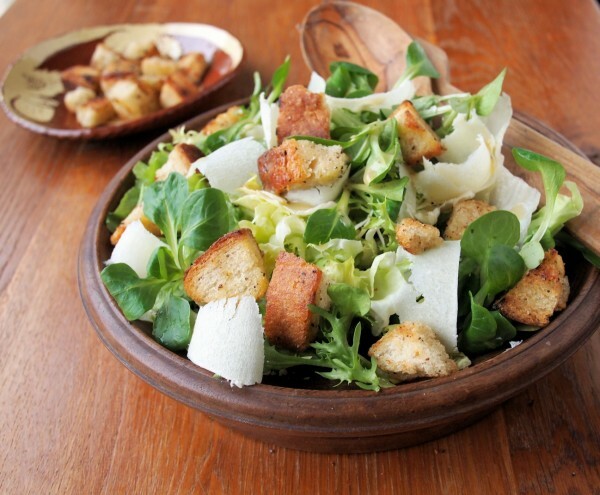 The fabulously named Hangover Salad is the recipe made by London Busy Body which was served as an accompaniment to venison rather than with the beef in the original. 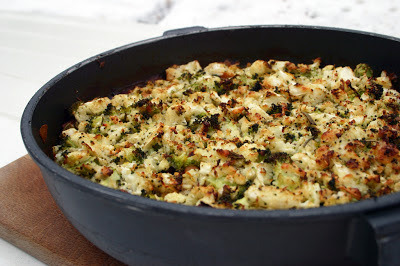 The lovely Dish Dom over at Belleau Kitchen made his own version of Nigel's aubergine and bean hotpot, adding a cheesy broccoli and cauliflower crust. Dal and Butternut Squash Soup is the warming Dish of the Month for Karen at Use it up, wear it out. 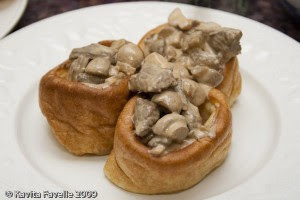 I love the way Kavey of Kavey Eats, has made this Beef Stroganoff from Nigel Slater's Real Fast Food and served it in Yorkshire Puddings, I think this is such a great dish. This zesty Lime Tart comes from Susie at Fold in the Flour, who found the recipe in the January Chapter of The Kitchen Diaries 1. 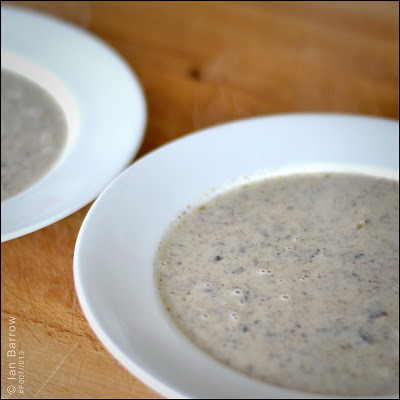 Cream of Mushroom, mustard and tarragon soup is a combination of two of Nigel's recipes, you can find out which ones by visiting Linzi at Lancashire Food. 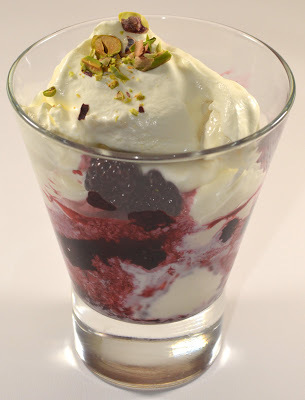 Maggie at Kitchen Delights whipped up a Creamy Crunchy Fruit Sundae which Nigel featured on Simple Suppers. 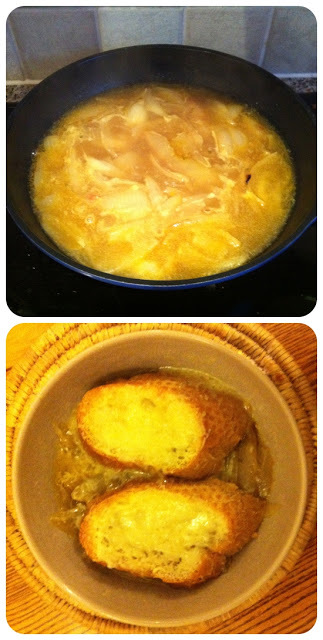 At Nyssapod blog we were treated to Onion Soup without Tears from Kitchen Diaries. 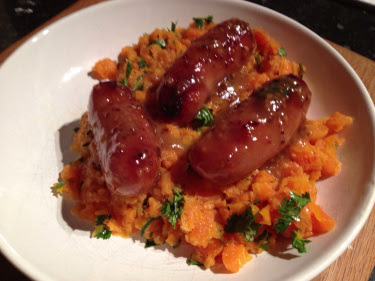 Honey and Mustard Sausages and Carrot Mash is another Simple Supper dish, this time from Jo at Jo's Kitchen. 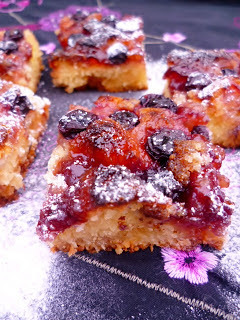 Marzipan and Berry Cakes were featured along with Mincemeat Hotcakes and Brandy Butter at Cookies Cakes and Bakes and don't they look great, obviously a popular choice. 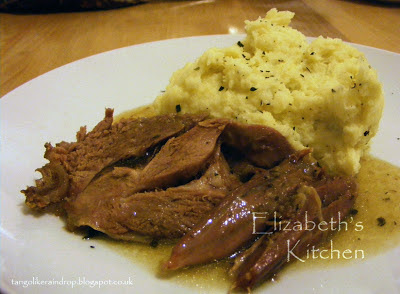 The slow cooked lamb really stands out for me - yum. 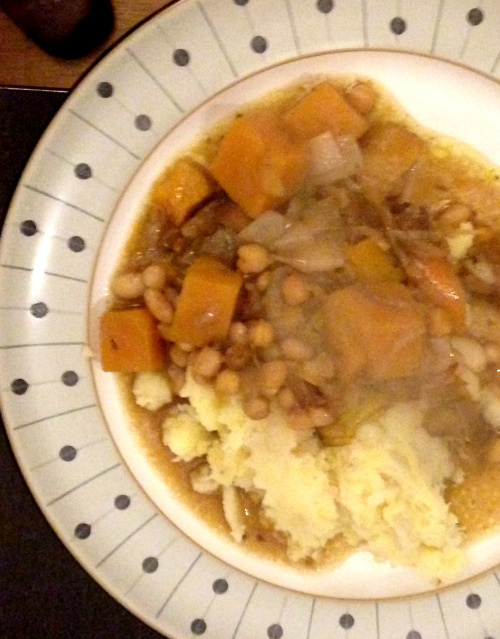 I think I will also have a look for that bright vegetable stew - perfect meal for our family by the looks of it! What a lot of tastiness! LOVELY round up and I KNOW how much time and effort goes into writing them up, so thanks Janice and also Sue the Pin lady! Woah that's a lot of recipes! 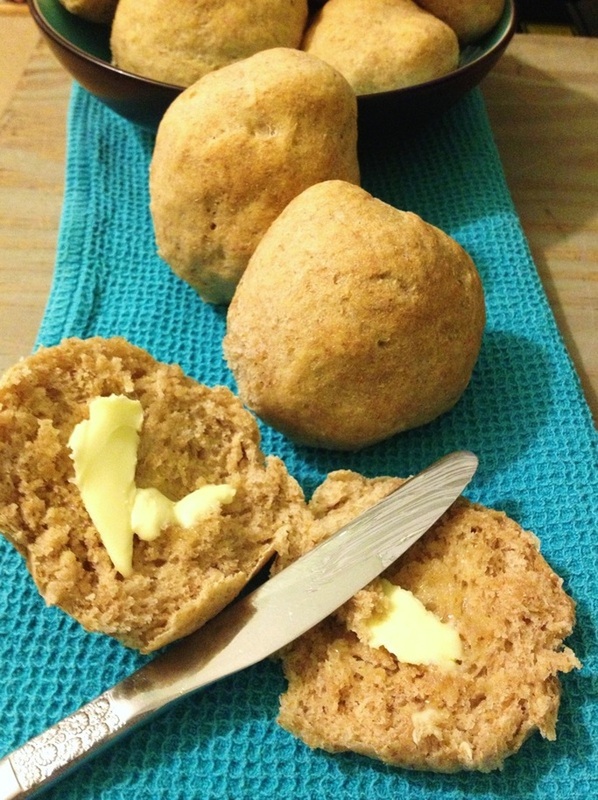 I love Nigel's recipes and the range of recipes he has written is amazing. It's great to see such a big selection together. Thanks for this - you're all really inspiring me to stop just reading Nigel Slater books and do more cooking of the dishes he so lovingly describes! I'm so pleased you are all enjoying the dishes. Nyssapod - I'm delighted you are inspired to start cooking from your Nigel Slater books, that's exactly what we are trying to achieve - whoop! you must be so chuffed, both of you!... an excellent array of Nigel's dishes and such a lot of entries... it's a great challenge and one I will now look forward to with glee! What a good start to the challenge - I must try harder this month to participate. I have plenty of his books so it should definitely inspire me to use them more! What a scrummy - and diverse - collection of dishes. It just goes to show what a huge, diverse amount of inspiration he brings us. So many yummy things here - yay for Nigel! Thanks for the round-up Janice. This is fantastic! I love the way everyone uses Nigel but with such creativity. Congratulations on such a successful challenge,Janice. It's a real winner. I've already got my next post ready to go! 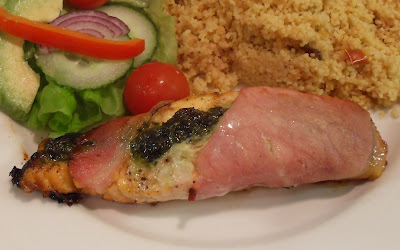 Thank you everyone, I couldn't do it without my co-conspirator, Sue from A little bit of Heaven on a Plate. So many delicious dishes here! 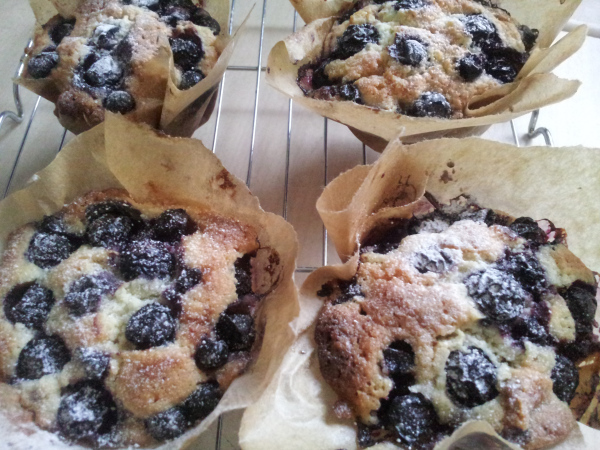 I loved taking part, thanks Janice & Susan :-) Looking forward to the next one!